[Blind Gossip] We were the first to tell you a few months ago that this actress – who has been through some very serious problems in the past few years – had finally found some normalcy and happiness. 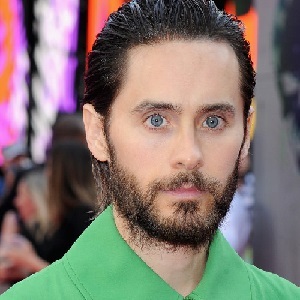 She was staying on her meds, going to school, and dating a guy who resembled Jared Leto. Well, that relationship is now over! And she is not happy. They broke up and he is now with some girl who lives on the East Coast. I’m not sure if he cheated on [Actress] with the new girl or if the new girl happened after they broke up. [Actress] was very upset and agitated by the break up. She’s been texting him a lot and she just dyed her hair dark brown. I don’t know if she is trying something new or if she is trying to disguise herself or avoid the paparazzi. Her appearance does tend to change when she is ill – and the last time she dyed her hair dark she was off her meds – so we’re hoping that the dramatic hair color change is not indicative of a more serious problem! [Optional] Do you think she will make an acting comeback? Amanda Byrnes. She needs to stay focused on herself and getting healthy. amanda bynes..and i hope she comes back if its ok with her medical team..she is a great actress. [optional]: i hope not. i think she should stay far away from hollyweird and continue to focus on her mental health. I hope she stays well and hopefully makes a comeback! No- but If this her…I am pulling for her to have a full and happy life!! No, I don’t see her returning to acting. But who knows? Optional: No, I don’t. I think her problems are worse than Brittney’s. And I think dying her hair dark is an ominous sign. I hope she can get back on track again. Love can really hurt and s**k when it goes wrong. I hope she can realize that it’s normal and okay to hurt over the end of a romance but she needs to also understand that obsessing is not helpful. At all. I used to go to very destructive places when I was emotional and upset, but came to find that making a change like dying or cutting my hair instead of physically hurting myself could fill that need. IDK, I hope that’s what it is. I hope she’s on her meds. My heart breaks for her. I am sure she doesn’t want to be repeatedly arrested but obviously gets out of control when she drinks. For those of us who have dealt with a substance abuser or Alcoholic, we all know it is not an easy road. It is literally one day at a time. The only “cure” is the addict has to make up their mind that they want to be sober/clean – there is no other way and even then it is still one day at a time. Heather Locklear is very ill but this is not her, it’s Amanda Bynes. I hope that it’s not Amanda Bynes . She’s very talented , very troubled and seemed to be finally back on track . It would be tragic to see her lose it again . She is too fragile to make an acting comeback. I wish her the best. Amanda Bynes. She went to fashion school and has been on top of her mental health. Amanda Byrnes. I hope she finds another career far from the madding crowd. Amanda Bynes. I feel sad for her. I sure hope she can get back in the business.